When we think of Las Vegas, the first things that usually come to mind are casinos and entertainment. The truth is Las Vegas is home to much more than a wild night life. It has some of the largest hotels in the world, a spectacular skyline, and most of all, a variety of adrenaline inducing attractions. Imagine driving a Ferrari on a real racetrack, zip lining down Freemont Street and riding a ride where you are launched out over the edge of a building. 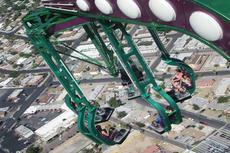 The Stratosphere Hotel is a prime location for visitors looking for adrenaline-pumping adventures. Some of their thrilling rides include the SkyJump, Big Shot, Insanity and X-Scream. 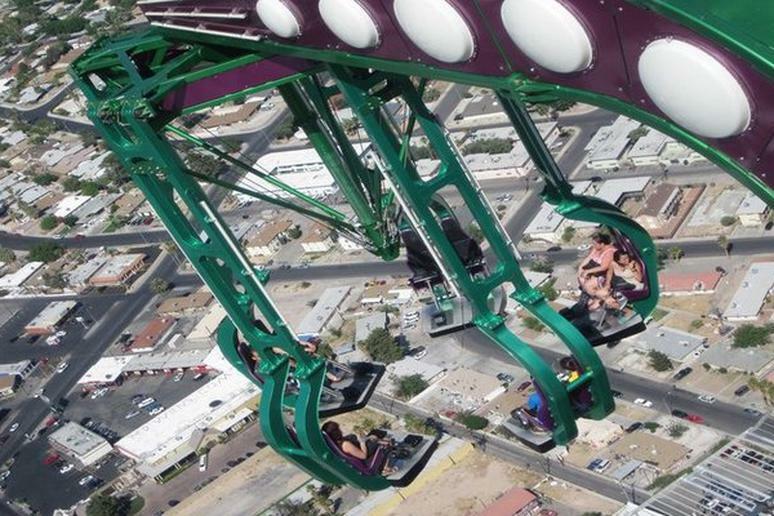 Get ready to get your heart pumping; continue reading for the Top Adrenaline Inducing Attractions in Las Vegas.